Mergozzo, Verbano-Cusio-Ossola is home to the beautiful Campsite Lago Delle Fate, an intimate campsite, located by a lake/recreational pond. In the hustle and bustle of everyday life, everyone needs space to enjoy the great outdoors and a little relaxation. And this campsite certainly offers you space. This small, intimate terraced camp site offers which are marked out, pitches with shade and pitches with some shade. Spaciously laid out camping pitches make it possible to camp in a quiet and pleasant way. A stay here will bring guaranteed rest, space and freedom. Campers who love a sporting challenge will enjoy the various cycle routes that the campsite has to offer. This campsite is entirely free from noise and nuisance from discos and clubs, so you can relax and enjoy the peace and quiet. Enjoy the countryside. This campsite is located by by a lake/recreational pond. A perfect place for those who enjoy playing around in the water. You will want for nothing on this campsite. And if you don't fancy cooking, then don't worry, as the campsite has snack bar. To ensure that your camping holiday is that little more comfortable, the campsite has done everything it can to ensure you have no need to even leave the site. The campsite also provides Groceries-limited selection. For those who wish to make contact with the outside world, you can access the internet with your own laptop in 80% of the camp site. All in all, the intimate, friendly nature of this campsite make it the ideal location for a carefree holiday. Great staff, prices, and especially location! The owner even gave us a ride to the train station. Wouldn't stay anywhere else in Mergozzo. Very close to town and bus stops. 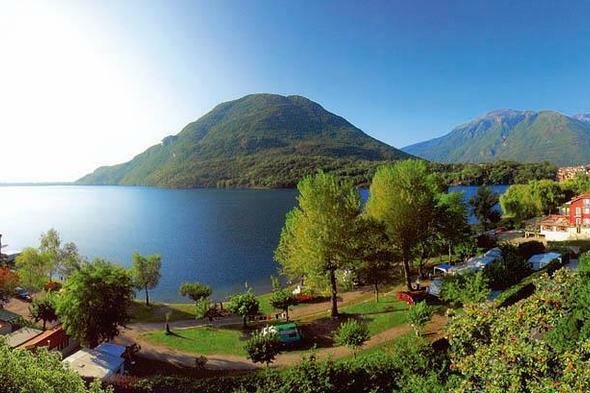 Would you like to book Campsite Lago Delle Fate or request more information? You can do both using the information below. Greatlittle Campsites will send your information request to "Campsite Lago Delle Fate".